What's new in V-Ray 3.5? You are here: Home / Rendering Blog / 3D Animation / What’s new in V-Ray 3.5? 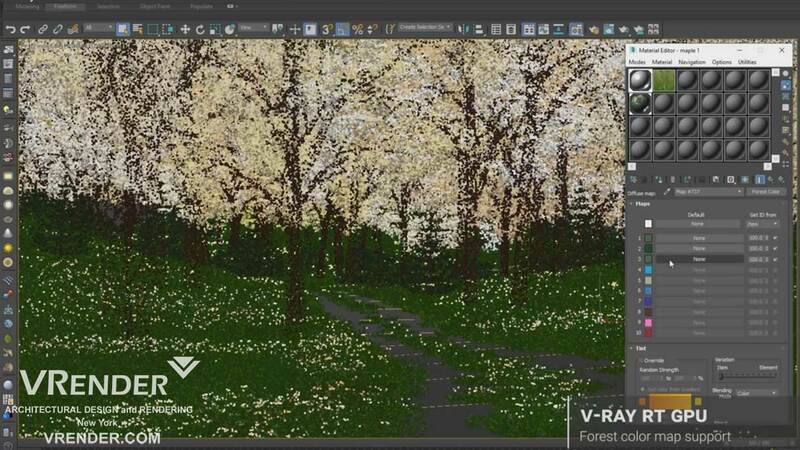 What’s new in V-Ray 3.5? Some of the innovations of V-Ray 3.5 can already be evaluated in a demo video placed on YouTube. The main production-rendering V-Ray can be used in interactive rendering. In the future, you can forget about V-Ray RT. You can put the visualization on a pause and continue from the moment you stopped. It is assumed that this will be useful for recovery after an abnormal program termination or for a quick preview using a progressive sampler. For more information about resumable rendering, visit Chaos Group Laboratories. A new method for accelerating the rendering of scenes with a large number of light sources is the further development of the Probabilistic Lights method, which appeared in version 3.0. For more information on adaptive lights, visit Chaos Group. The alSurface material has now appeared for V-Ray. The main difference between alSurface and the standard VRayMtl material is the effect of the glossiness parameter on the Fresnel reflection, depending on the BRDF material. Learn more here – Glossy Fresnel. Import and render materials created using NVIDIA Material Definition Language. It allows you to connect and visualize .vrscene files exported from 3Ds Max or other programs. Unlike VRayProxy, .vrscene files store information about geometry and materials. Render directly to VR with V-Ray GPU and view on HTC Vive and Oculus Rift. More information about Live VR rendering is here: Understanding Live VR rendering. Support for directional light sources, VRayStochasticFlakesMtl material, support for VRayAerialPerspective, reduction of memory consumption for textures, possibility to change the size of the image in active ActiveShade, selection of objects and materials in the V-Ray frame buffer, navigation in the frame buffer window, selection of the DOF focus in the frame buffer window. Assigning of a color depth for each rendered element individually. For example, you can assign 16 bits for Diffuse and 32 for ZDepth. The new Online Licensing Service allows you to activate licenses remotely. The server will not be automatically installed with V-Ray for 3Ds Max. It will be necessary to download and install it separately. https://vrender.com/wp-content/uploads/2017/09/Whats-new-in-V-Ray-3.5.jpg 500 500 admin https://vrender.com/wp-content/uploads/2017/01/vrender-logo-2017C.png admin2017-09-18 01:59:262017-09-18 04:38:33What's new in V-Ray 3.5? NY Architect Services How BIM and Architectural Rendering Process Changing Construction Trends?